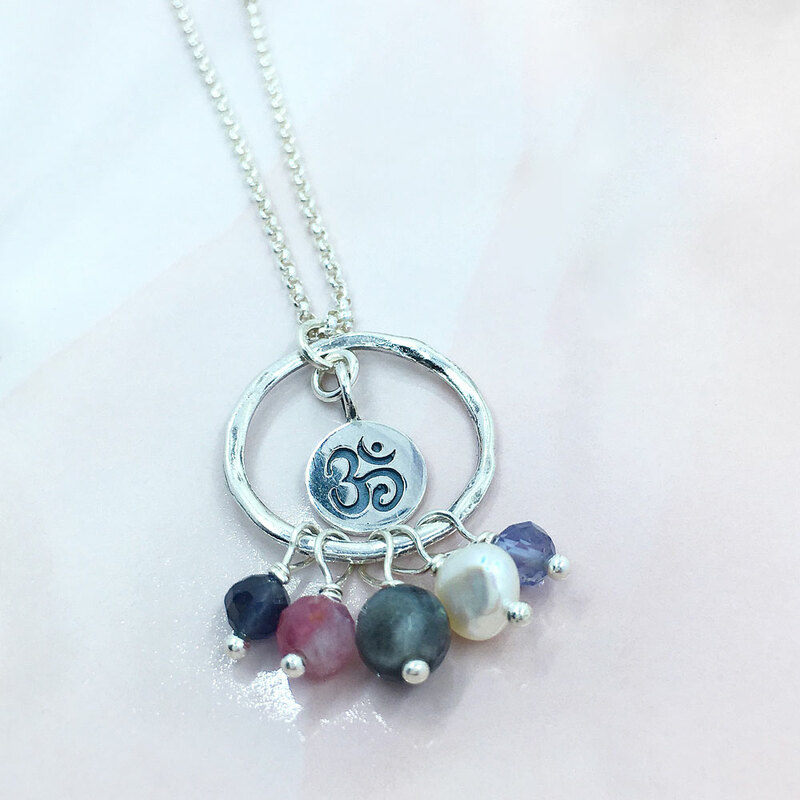 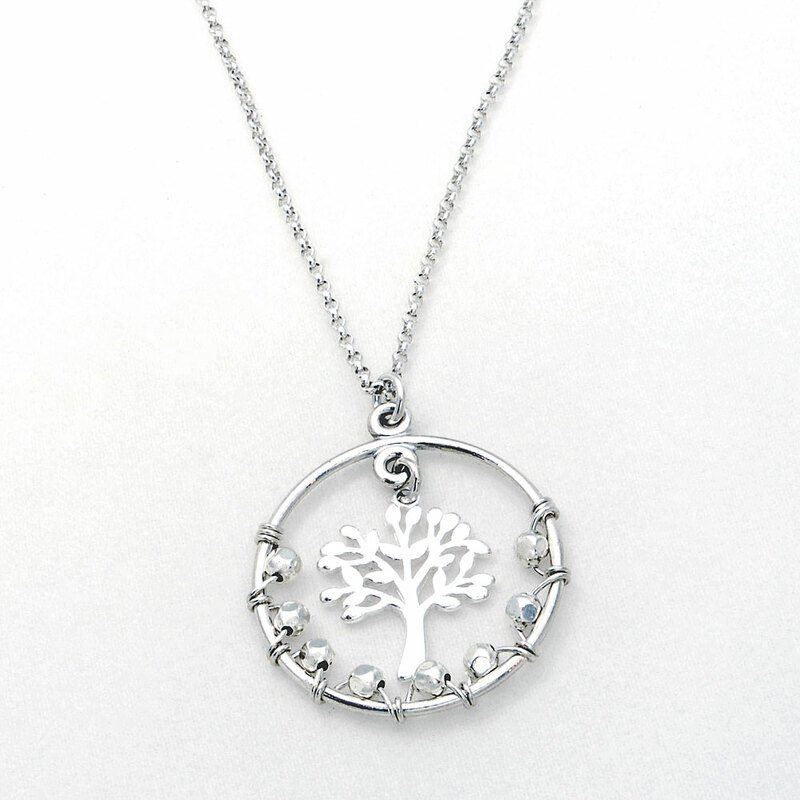 This is a gorgeous handmade sterling silver OM necklace created with a sophisticated palette of semiprecious gemstones including pink tourmaline, iolite, dark labradorite and fresh water pearl. 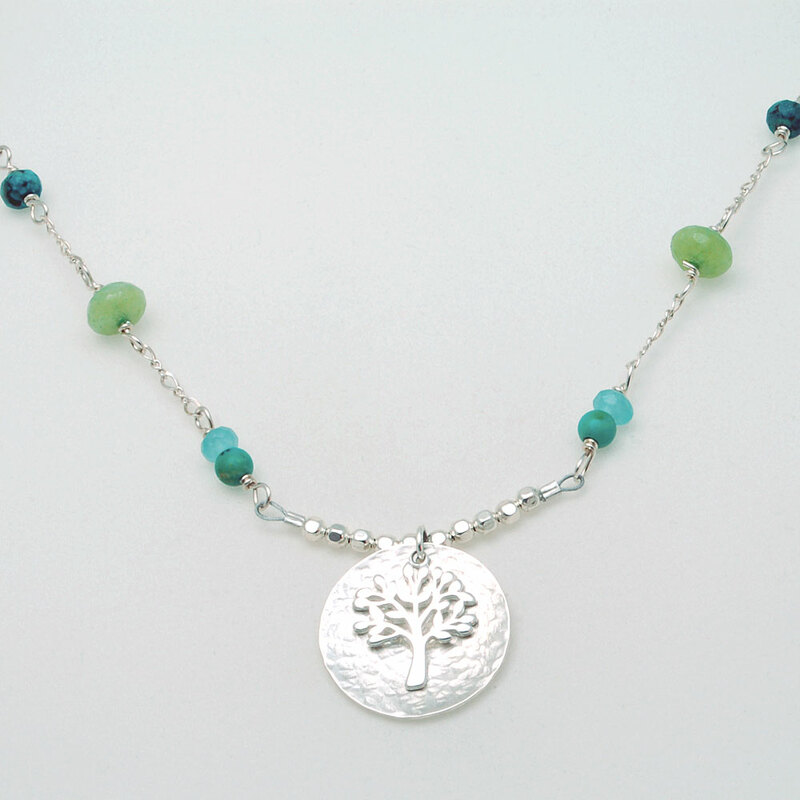 The rolo chain measures 17″ and is finished with a flat lobster claw clasp. The center ring that the gemstones are attached to measures 3/4″ in diameter.